We are now several decades into an inevitable process of governmental change in the developed democracies. At every level of government, from the schoolhouse to the statehouse, we are reinventing our public institutions to adapt to the new realities of the Information Age. Developed and shaped during the Industrial Era, before the dawn of computers, our school districts, our city, county, state, and provincial bureaucracies, and our national bureaucracies have all struggled to cope with the new realities of the Information Age. A fundamental process of change began in the U.S. in the late 1970s, driven by a nationwide tax revolt at the local government level. The last time we reinvented government, from about 1885 to 1945, we did so to adapt to the new realities of an industrial economy and urban society, and it took about 60 years before the new model became dominant. If it takes 60 years this time, we are over halfway through the process. Much of what Ted Gaebler and I wrote about in Reinventing Government, almost 25 years ago, has come to pass. But the process is far from complete, and the pace of change has, if anything, accelerated in recent years. This web site is offered as a resource for those on the journey, those struggling to innovate within change-resistant bureaucracies. It is not about innovation, however. Instead, it is about reinvention: the process of creating public organizations that innovate as a way of life, continuously improving their services. On this web site, you will find two of my books—co-authored with Peter Plastrik—a thousand pages of strategies and tools to help reinventors succeed. In addition, I have posted dozens of articles and reports I’ve written over the years. I hope you find these resources helpful. 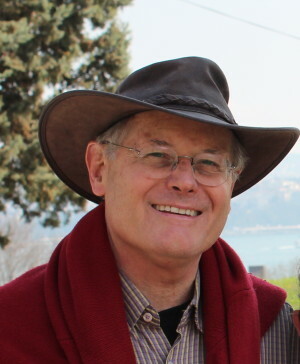 David Osborne is the author or co-author of five books, including Reinventing Government, Banishing Bureaucracy, The Reinventor’s Fieldbook, and The Price of Government. He has also authored numerous articles for the Washington Post, the Atlantic, the New York Times Magazine, Harpers, The New Republic, Inc., Governing, Education Week, and other publications.